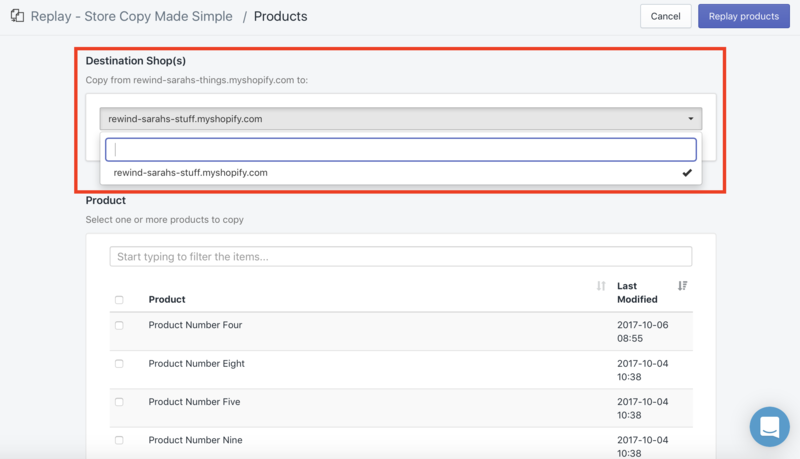 If Products are the only items you wish to copy over to your destination store(s), but you would only like to select certain Products - as opposed to all of them, in bulk - Replay offers this exact feature to tailor to your specific needs. 2. 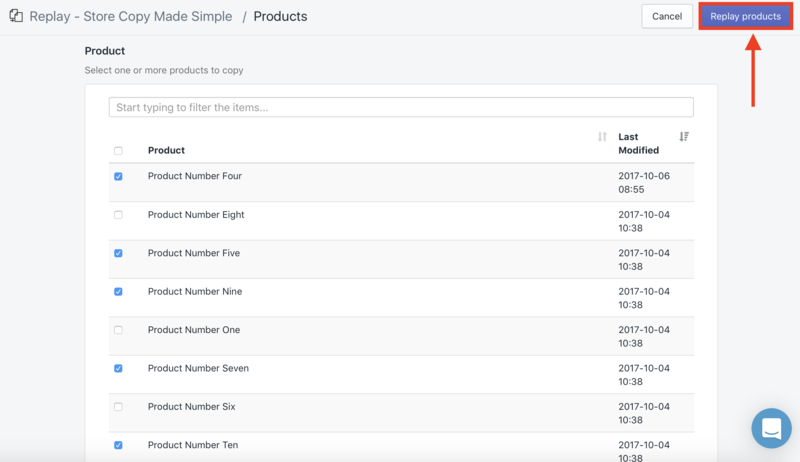 From the drop-down list, select "Copy specific Products". 3. Select which destination shop(s) you wish to copy these specific Products over to. 4. 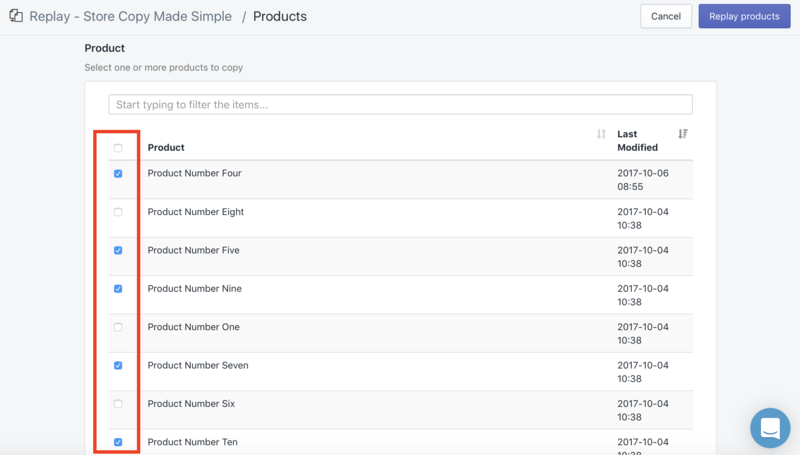 Under 'Product', you will see your entire list of individual Products from your master store. 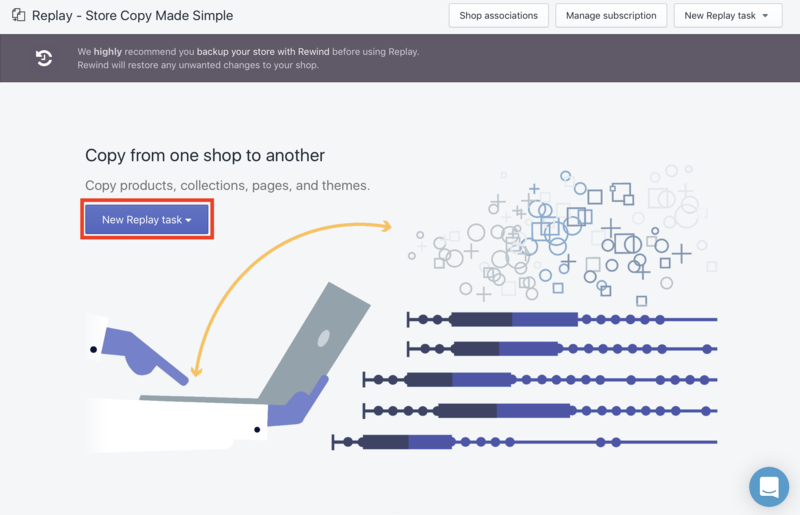 Click the checkbox next to every Product you wish to copy over - leave all Products you do NOT wish to copy blank. Note: You can narrow down your results by typing in keywords into the blank search box above the listed Products. 5. 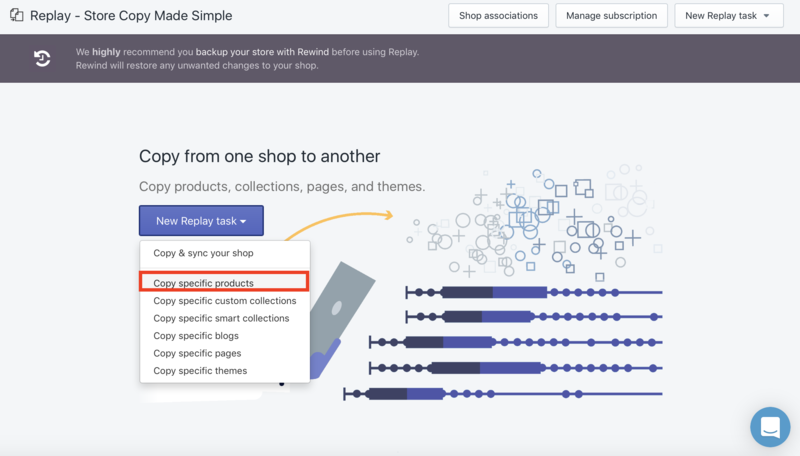 Once you have selected all of the specific Products you wish to copy over, in the upper right-hand corner of the page, select "Replay products". These specific Products will now be copied over from your master store to your destination store(s).